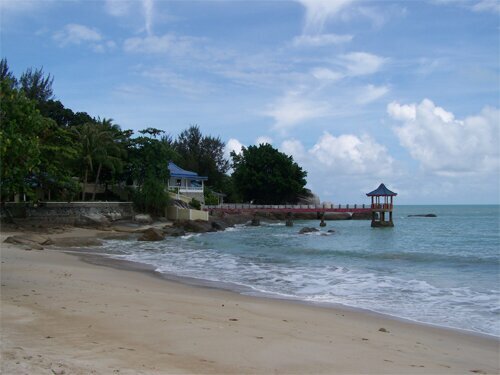 Bangka Island (also sometimes spelled Banka Island) is located in the northeastern side of South Sumatera in Indonesia. The island covers an area of 11,500 square kilometers (almost as big as Lebanon) and is currently inhabited by an approximately 245,000 people (as of 2008), mainly of the Chinese and Malay origins (the latter one is the native). In 2001, Bangka Island established as the 31st province of Indonesia, known as the Bangka Belitung (BaBel) Province, and chose Pangkalpinang as its capital town. The name of “Bangka” was taken from a Sanskrit language: “Vangka” or “Wangka” that means “tin” –based on a Srivijaya inscription dated 686 AD, found near Kota Kapur Village, West Bangka. 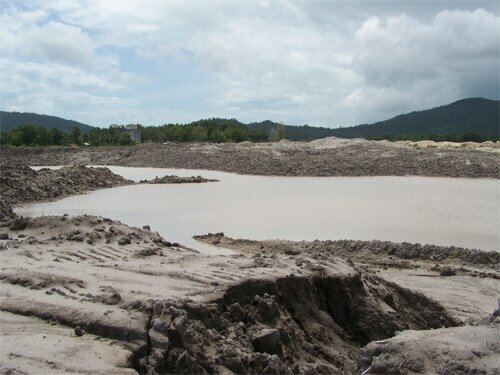 As suggested by its name, most of BaBel Province economic developments come from tin mining –worldwide renowned for its “grade A tin”, and white pepper (still one of the best Indonesian export commodities). Other economic sources here are fishing and farming industries. The island started to gain attention, thanks to the British author Joseph Conrad through his novel “Lord Jim”, published in1899, where some of the novel settings are in Bangka Island. His novel ranked 85th of the Best English Novels in the modern library, in the 20th century. 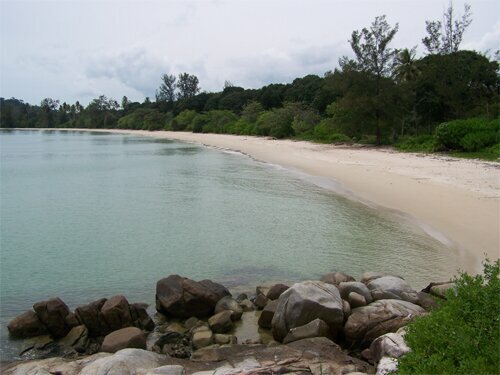 Bangka Island’s history recorded a few foreign occupations of the island. The first occupation dated back to the 7th century, by the Hinduism Kingdom of Sriwijaya. After that, Bangka Island experiencing a few changes of authority until it fell to the Sultanate of Palembang in 1662. When tin was found in Kota Kapur (1710), the island developed and was attracted the Dutch, who was then already entered the big surrounding islands. After the Dutch, then the British came and controlled Bangka Island and its tin industry in 1812. However, the British did not stay long. In 1814 they ceded the island to the Dutch, in exchange with Cochin, a city in west coast of India. During the Second World War, the island was occupied by the Japanese (1942-1945). There was a sad moment, when the Japanese arm forces did a mass execution of Australian nurses in Mentok (or also commonly called as Muntok) – the past capital town of Bangka Island. Finally Bangka Island came back to Indonesia when the country declared its independence on 17 August 1945. As of today, Bangka Island is famous for its numerous white sandy beaches, underwater beauty, its rich cultural heritage– mainly of Malay and Chinese influences, seen in dances, crafts and local ceremonies. The local tradition of “Sepintu Sedulang” or locally known as “Nganggung” can be seen in local ceremonies, such as ceremony of welcoming pepper harvest, wedding or religious ceremonies. Moreover, Local food, such as Lempah Kuning, Martabak Bangka, and some snacks like Jongkong, Sengkulun Kelapa, Yet-yet are worth a try too. But visitors should keep in mind that tourism in Bangka Island might not be as developed as in other parts of Indonesia (poor public transportation and often no foreign languages). This can make the trips for foreigners more challenging but definitely rewarding. 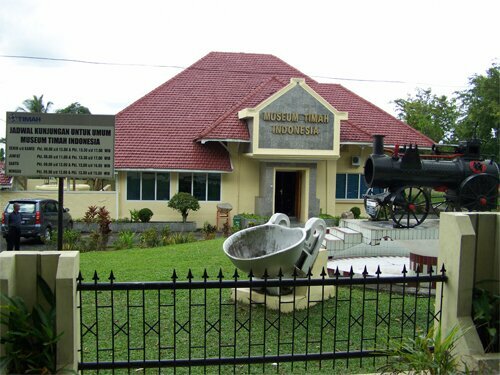 Whether you are interested in rich cultural heritages, natural wonders or just want to visit the only tin mining museum in Indonesia, Bangka Island is a place worth a visit. Have great holidays in Bangka Island!